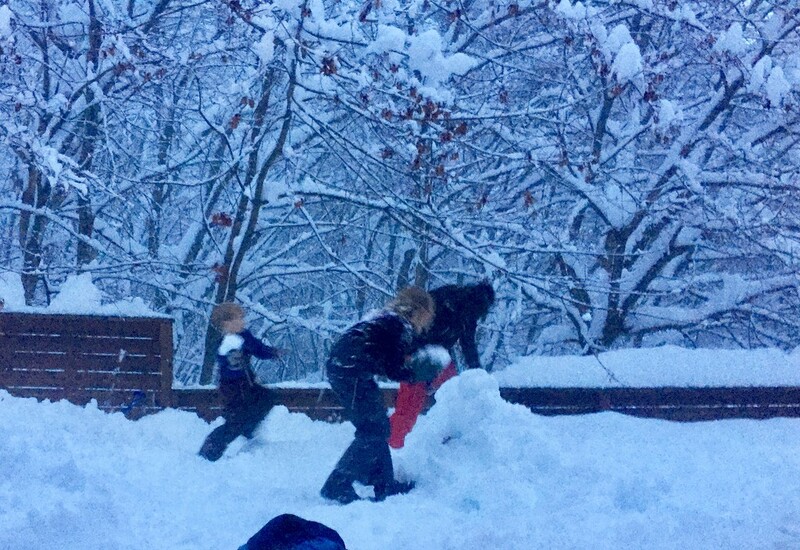 After a long day up the mountain and shovelling snow, Ross somehow found the energy to go into snowy battle against @kiwichick’s youngest two. The low light at dusk made the picture grainy and low quality but I loved how much fun they were having! “Best snowball fight ever” apparently. So fun!! Amazing to think that fence is 4 foot high too!